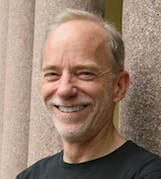 Professor Mark Turner, a world-renowned cognitive scientist and linguist from Case Western Reserve University, will give the keynote speech entitled "A tour of basic human mental tools for learning a human language." This talk will present framing, story, blending, classic joint attention, and form-meaning pairing. These mental operations, which appear to have been common to all human beings for at least the last 50,000 years, and which form a distinctive shared endowment across our species, provide a foundation for constructing any human language. Professor Turner, together with Gilles Fauconnier, developed the theory of cognitive blending and applied the theory to the understanding of everyday thought and language. His lecture appeals not only to foreign language teachers and students, but also a wider audience interested in the conceptualization of the human mind. More information about Professor Turner can be found at: http://markturner.org.